If you’ve been served with an eviction notice to vacate your rented accommodation a natural first reaction is probably to panic. However, remember that no matter your circumstances and whether you are at fault or not, you have rights. Sadly, evictions are still common in South Africa. Most are legal. Some are not. And so it’s important to understand your rights and the law. The Prevention of Illegal Eviction from and Unlawful Occupation of Land Act No. 19 of 1998 (PIE) governs residential evictions. The Act arises from Section 26 of the Constitution, which states that everyone has the right to adequate housing. “No one may be evicted from their home, or have their home demolished, without an order of court made after considering all the relevant circumstances”. PIE protects the rights of tenants and landlords alike. It protects tenants from unlawful evictions and sets out what a landlord can and cannot do. 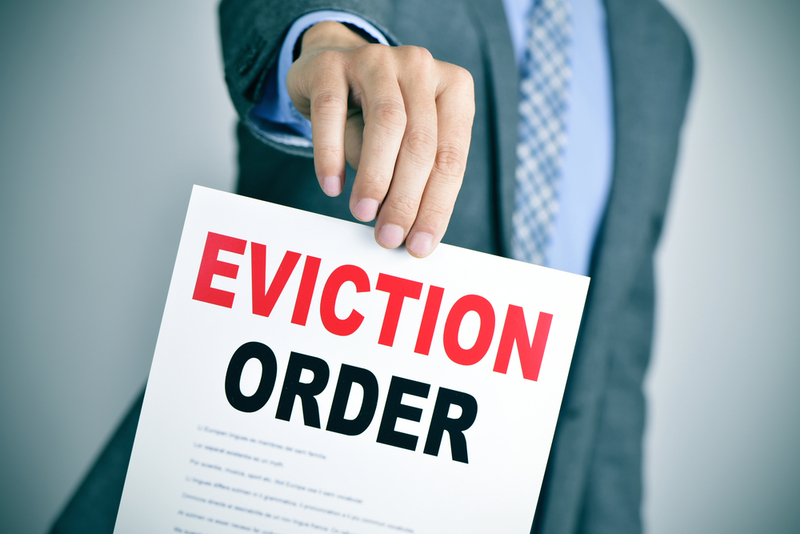 The law does not take away the landlord’s proprietary rights, but it spells out the procedures required before the court will grant an eviction order. Can a landlord cancel your lease? A landlord has grounds to evict if you do not pay your rent on time and they believe you may not make future rental payments or if you have caused damage to the property. There may also be grounds if your lease agreement has expired and been terminated (which makes you an unlawful occupier). The Consumer Protection Act 68 of 2009 (CPA) requires the landlord to give you at least 20 business days’ written notice of an intention to cancel the lease if you are in breach of the terms and conditions. So if you do not remedy the breach within the set time frame, the lease can be cancelled. However, the lease must contain a forfeiture clause, without which the cancellation may not be upheld by the court. If you do not adhere to this notice, the landlord may apply to the Magistrate’s Court for an eviction order. The notice of eviction advises the tenant of the intended eviction and gives 30 days to vacate the premises. The notice to vacate is delivered by the Sherriff of the Court or by registered post. Remember, the landlord cannot force you to vacate the premises or lock you out of the property. They must follow the correct eviction procedure. PIE also protects the rights of unlawful occupants and the court takes several factors into consideration before issuing an eviction notice. This includes whether occupiers include vulnerable people (children and women-headed households, the elderly and people living with disabilities), the length of occupation and whether the occupiers will be homeless following the eviction. In December 2015, the Western Cape High Court (City of Cape Town v Those Persons Occupying and/or intending or attempting to occupy or erect structures on erf 18370, Khayelitsha) temporarily suspended an eviction order against occupants of the Newcastle Informal Settlement. In this case the judge ruled that the City had failed to engage with the residents before obtaining an eviction order. Additionally, they had not complied with PIE. Furthermore, they did not engage with the residents before applying for a notice to evict. The Rental Housing Tribunal was formed in 2001 to help resolve disputes between landlords and tenants in residential dwellings. It is an independent body governed by The Rental Housing Amendment Act. An alternative to expensive court action, The Rental Housing Tribunal deals with a range of issues from not paying rent or failure to refund deposits to overcrowding, unacceptable living conditions and illegal disconnections. Tribunal rulings carry the same weight as a Magistrate’s Court judgement. What’s more, the service is free. Each province should, by law, have a tribunal. It’s always best to stay on the right side of the law, but if you are having issues with your landlord and facing eviction, seek legal advice. The pitfalls of going it alone and representing yourself are many and varied. Although it may be tempting to try and settle matters on your own, we can help you negotiate with your landlord, ensure that you are treated fairly and that the process is lawful. Note that it is critical to have a written lease agreement signed by both parties. This protects both the tenant and the landlord and is a requirement of the Rental Housing Amendment Act 35 of 2014. Verbal agreements are no longer binding.